The January headline CPI remained unchanged at 2.1% year-on-year, matching the 2017 December data and showing no sign of inflation pressure. The first reading of the year roughly matches market expectations (2.0% YoY). 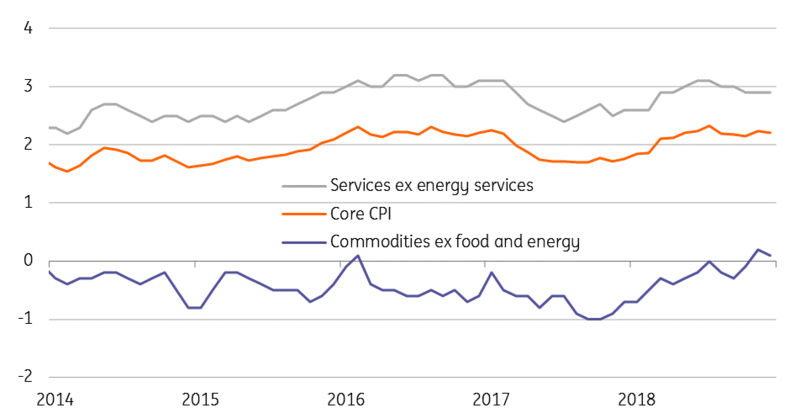 Core inflation, excluding raw food and energy prices, grew 2.5% compared to the same period a year earlier. The strongest price growth was posted in foods, alcoholic beverages and tobacco. Food prices increased by 4.4% YoY, suggesting the VAT decrease in several food types (such as fish) hasn’t impacted consumer prices equally. Price of foods, alcoholic beverages and tobacco increased by 6.5%, significantly exceeding the 3.3% YoY average growth of 2017. 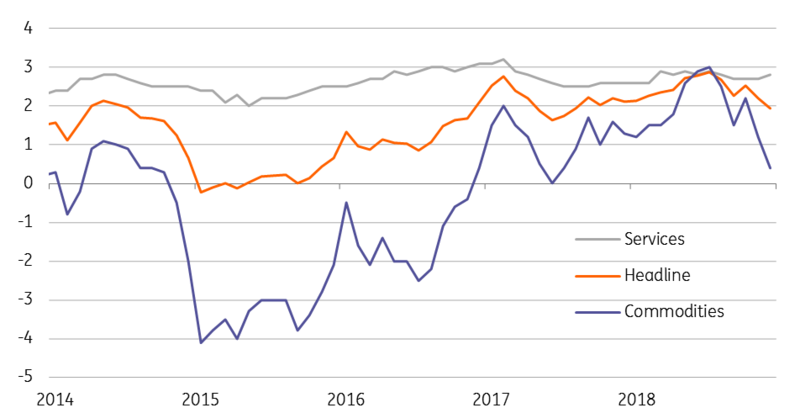 Regarding services, VAT cuts in internet-services are visible, although the low base effect counterbalanced prices, resulting in a 0.8% YoY increase. Due to the strong base effect, prices of fuel decreased by 1.3 % YoY. All in all, the first reading of the year silenced the hawkish voices. We still expect 2.7% inflation in 2018 as a whole, above the NBH’s expectation of 2.5%, so we're unlikely to see any change in the central bank’s monetary stance.